Undergraduate students are frequently involved in research in the laboratories of the Biochemistry Department. 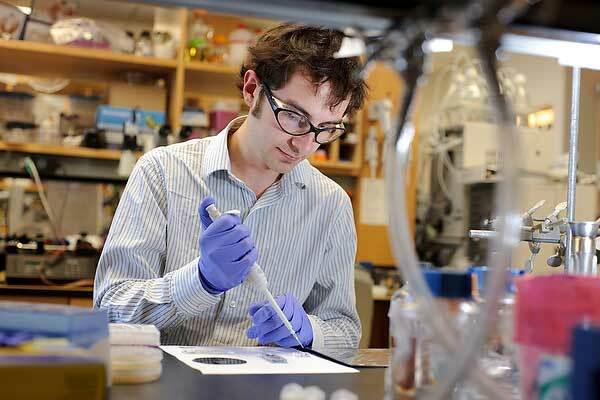 Here, undergraduate Nate Cira uses a pipette to load a microfluidic device in Doug Weibel's research lab. This device can be used to rapidly test individual antibiotics against human pathogens and is applicable to clinical and point-of-care medicine.